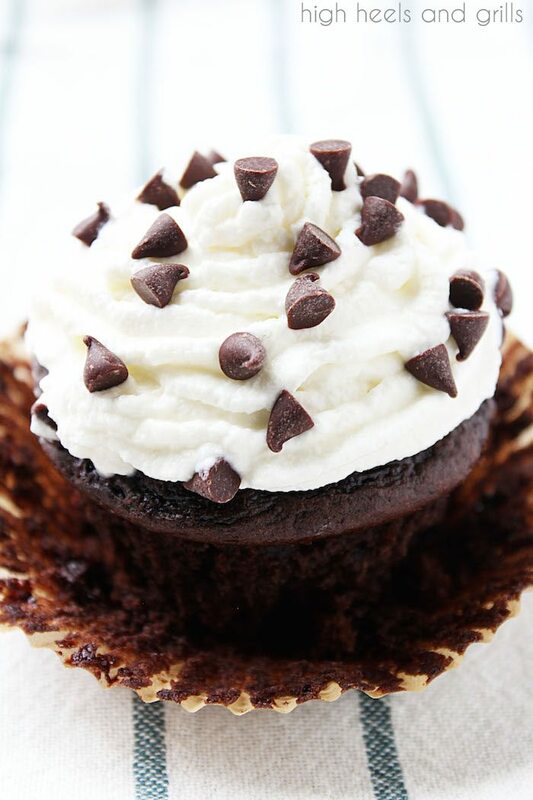 You would never guess that these Skinny Chocolate Cupcakes are made with Greek yogurt and are lower in calories than most cupcakes! They’re my favorite dessert when trying to eat healthier. 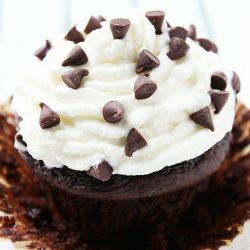 I have tried a few different types of Skinny Chocolate Cupcakes and I have found a couple of recipes I like and a couple of ones that weren’t my favorite, at all. You can make them with a cake mix and a can of diet soda, which is pretty easy to throw together and tastes really good. Or you can make them with black beans and cocoa powder and it might make you want to wash your mouth out with straight melted chocolate chips because the flavor falls so flat. I think this recipe trumps all of those ones though! My eating habits are the definition of yo-yoing. I can eat well and cut out sugar for a week, maybe two, and then I feel like I’m going crazy not being able to eat whatever I want, whenever I want it. I give in and end up binging sugar. Over the years, I have learned that I’m not the type of person that can just cut things out completely, so I’m always on the hunt for desserts or comfort foods that are modified to reduce calories, but don’t taste like it. These Skinny Chocolate Cupcakes fit the bill for that perfectly. Pair them with our Skinny Frozen Raspberry Yogurt and you actually have a fairly low calorie dessert that doesn’t taste low calorie at all! I’m not just saying that so you will try it and then be let down that it doesn’t actually taste like full-calorie dessert. It really is that amazing! This is one of my very favorite dessert combinations ever when trying to eat healthy! 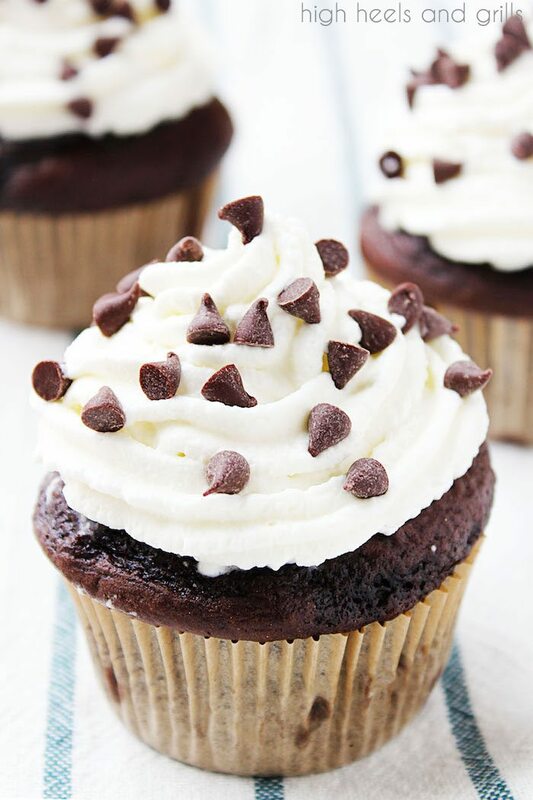 You would never guess that these Skinny Chocolate Cupcakes are made with Greek yogurt and are lower in calories than most cupcakes! They're my favorite dessert when trying to eat healthier. Preheat oven to 350°F and place liners in a cupcake tin. Combine the cake mix, yogurt, and water in a medium bowl and stir for two minutes. Fill each liner about 3/4 of the way with the batter. Bake for 25-27 minutes or until an inserted toothpick comes out clean. These taste awesome as is, but for a little extra flavor, whip together the whipping cream and sugar with a hand mixer until stiff peaks form. Pipe the whipped cream onto the cupcakes. Top with chocolate chips.